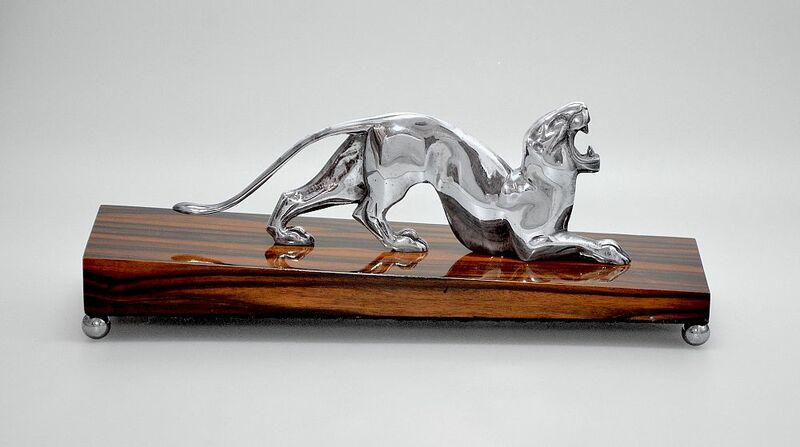 This is a fantastic silvered bronze panther from the Art Deco period. The panther is down on its front paws looking up and snarling. It is on a sloping macassar ebony base with chrome ball feet.